Survival was significantly better (P = .03) in the group receiving thrombolytic therapy. Primary Percutaneous Coronary Intervention for All? Context Trials comparing primary percutaneous coronary intervention (PCI) and thrombolytic therapy for treatment of acute myocardial infarction (MI) suggest primary PCI is the superior therapy, although they differ with respect to the durability of benefit. Because PCI is often limited to hospitals that have on-site cardiac surgery programs, most acute MI patients do not have access to this therapy. Objective To determine whether treatment of acute MI with primary PCI is superior to thrombolytic therapy at hospitals without on-site cardiac surgery and, if so, whether superiority is durable. Design The Atlantic Cardiovascular Patient Outcomes Research Team (C-PORT) trial, a prospective, randomized trial conducted from July 1996 through December 1999. Setting Eleven community hospitals in Massachusetts and Maryland without on-site cardiac surgery or extant PCI programs. Patients Four hundred fifty-one thrombolytic-eligible patients with acute MI of less than 12 hours' duration associated with ST-segment elevation on electrocardiogram. Interventions After a formal primary PCI development program was completed at all sites, patients were randomly assigned to receive primary PCI (n = 225) or accelerated tissue plasminogen activator (bolus dose of 15 mg and an infusion of 0.75 mg/kg for 30 minutes followed by 0.5 mg/kg for 60 minutes; n = 226). After initiation of assigned treatment, all care was determined by treating physicians. Main Outcome Measures Six-month composite incidence of death, recurrent MI, and stroke; median hospital length of stay. Results The incidence of the composite end point was reduced in the primary PCI group at 6 weeks (10.7% vs 17.7%; P = .03) and 6 months (12.4% vs 19.9%; P = .03) after index MI. Six-month rates for individual outcomes were 6.2% vs 7.1% for death (P = .72), 5.3% vs 10.6% for recurrent MI (P = .04), and 2.2% vs 4.0% for stroke (P = .28) for primary PCI vs thrombolytic therapy, respectively. Median length of stay was also reduced in the primary PCI group (4.5 vs 6.0 days; P = .02). Conclusions Compared with thrombolytic therapy, treatment of patients with primary PCI at hospitals without on-site cardiac surgery is associated with better clinical outcomes for 6 months after index MI and a shorter hospital stay. Most institutions participating in comparative trials have been hospitals with on-site cardiac surgery and active elective PCI programs. Yet, approximately two thirds of patients with acute MI present to hospitals without such capability.7 Although some of these hospitals have the equipment and personnel capable of performing primary PCI, the requirement that cardiac surgery be available in the same hospital usually prohibits its performance, if not by state regulation, then by community standard. The fact that access to primary PCI is restricted despite its superior outcomes leads to a widely held position that attempts to justify two standards of care. If it can be applied, primary PCI is the better therapy for acute MI. If not, then thrombolytic therapy is the standard of care. Therefore, whether a patient receives the better therapy depends on the hospital to which the patient presents, which is itself almost always a matter of chance and geography. From a health care policy point of view, access to the best therapy for the greatest number of patients is an important goal. This study, the Atlantic Cardiovascular Patient Outcomes Research Team (C-PORT) trial, was undertaken to determine whether primary PCI produces outcomes at 6 months that are superior to thrombolytic therapy when applied at hospitals without on-site cardiac surgery or an extant PCI program. If primary PCI is indeed the better therapy in this setting, then access to this procedure might be extended to include the hospitals to which so many patients with acute MI present. Based on a conservatively estimated event rate (composite of death, recurrent MI, and stroke) of 14%1-3 and α = .05, a sample size of 2550 was estimated to provide 90% power to detect a 30% reduction in event rate. Five interim analyses were projected before the final analysis. The first was to occur when 300 patients were recruited and the second when 800 had been recruited. The Fleming-Harrington-O'Brien method8 was used to maintain the overall type I error rate for 2-sided comparison of treatment differences at α = .05. The P value required to reject the null hypothesis was .00101 for the first and .00111 for the second analysis. Because funding could not be secured, the study was terminated after 451 patients were recruited. Study patients were recruited between July 29, 1996, and June 17, 1999, from 11 participating institutions in Maryland and Massachusetts. 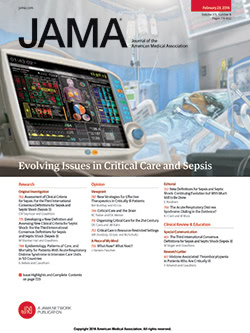 Prior to study initiation, waivers to the prohibition of performing PCI at hospitals without on-site cardiac surgery were secured from the appropriate regulatory bodies in both states (the Maryland Health Care Commission and the Massachusetts Department of Public Health Division of Health Care Quality). Waivers were granted only for participation in the study and did not extend to PCI outside of the study. Each participating institution's institutional review board reviewed and approved the study and consent. Written informed consent was obtained from all participants using procedures in accordance with the ethical standards of each participating institution's committee on human experimentation and with the Helsinki Declaration of 1975, as revised in 1983. Patients could be included if they were eligible to receive thrombolytic therapy, were aged 18 years or older, could provide informed consent, had chest discomfort or any other symptom compatible with myocardial ischemia of at least 30 minutes' and less than 12 hours' duration, and had either at least 1 mm of ST-segment elevation in at least 2 contiguous ECG leads or at least 1 mm of ST-segment depression in leads V1 and V2 compatible with true posterior wall injury or presumed new left bundle-branch block. Patients excluded were those unable to give informed consent, those taking metformin who also had a creatinine level greater than 1.5 mg/dL (132.6 µmol/L) (in men) or 1.4 mg/dL (123.8 µmol/L) (in women), those with true idiosyncratic reactions to aspirin or radiographic contrast media, and those who were not eligible for thrombolytic therapy. Patients could present to the emergency department or be inpatients and were not excluded because of prior or recent MI, any comorbid condition (including those that might limit survival to <6 months), or prior PCI or coronary artery bypass graft (CABG) surgery. Patients with acute MI with ST-segment elevation on presenting ECG who were ineligible for thrombolytic therapy could be entered into a registry and undergo primary PCI at the community hospital (Figure 1). The 11 community hospitals had coronary care units and diagnostic cardiac catheterization laboratories but had neither an on-site cardiac surgical program nor a preexisting PCI program. A formal program was created and used to develop primary PCI capability at each institution prior to initiating patient recruitment. The primary PCI development program was a detailed process that took approximately 3 months to complete and was individually adapted for each institution. This program consisted of setting standards, training staff, developing local logistics, and instituting a quality and error management program. Additional details regarding this program are available at http://www.cport.org. Standards were required for care, facilities, equipment, and staff, including interventional operators and catheterization laboratory and postprocedure (coronary care unit) staff. Care standards adopted were the American College of Cardiology/American Heart Association MI treatment guidelines.9 Facilities and equipment standards were set locally by the interventional operators. In addition, an instrument for measuring activated clotting time and an intra-aortic balloon pump were required. Interventional operators had to perform a minimum of 50 interventions per year.10 There were no nationally recognized competency standards for nurses and technicians caring for primary PCI patients, so a formal training program was implemented. Training consisted of three parts: on-site observational training, a didactic series, and hands-on training for staff serving as second operator. Logistics development refers to creation of an infrastructure that allows for the appropriate, safe, rapid, reliable, and effective application of therapy for acute MI. For thrombolytic therapy, the 2 goals were immediate receipt of aspirin and application of thrombolytic therapy within 30 minutes of hospital arrival. For primary PCI, the 3 goals were immediate receipt of aspirin, no more than 60 minutes' elapsed time from hospital arrival to entry into the catheterization laboratory, and no more than 90 minutes' elapsed time from hospital arrival to first balloon inflation. Detailed logistics were developed by study staff and local staff from the various care areas, including the emergency department, cardiac catheterization laboratory, and coronary care unit, and were individualized for each institution. Quality and error management required collection of data for each patient. Both process indicators (eg, time to treatment) and clinical outcomes indicators (eg, death, stroke) of quality were monitored. This trial was meant to be a "real-world" trial and, therefore, was developed with a minimum amount of protocol-required care. The Maryland Medical Research Institute (MMRI) served as the trial data coordinating center and the Johns Hopkins Medical Institutions as the clinical coordinating center. Patients were identified as potential trial participants in the emergency department or in the hospital. Treatment assignments were made with an automated telephone response system at MMRI. This system was accessible 24 hours a day to individuals with certification to enroll patients in the study. The individual identifying and randomizing the patient (usually an emergency department physician) was often not the treating physician (most often a cardiologist). Separate randomization treatment assignment schedules were computer generated for each clinical site, balancing assignments within site in randomly varying blocks of size 2, 4, 6, and 8, so that assignments to each of the 2 treatment groups had equal expectations. Patients randomized to receive thrombolytic therapy were required to receive immediate aspirin, accelerated tissue plasminogen activator (bolus dose of 15 mg and an infusion of 0.75 mg/kg for 30 minutes followed by 0.5 mg/kg for 60 minutes), and 48 hours of postthrombolytic heparin. Patients randomized to receive primary PCI were required to receive immediate aspirin. No protocol PCI was to be performed if the patient had both clinical resolution of ischemia (resolution of ST-segment elevation and chest discomfort) and Thrombolysis in Myocardial Infarction (TIMI) grade 3 flow on initial angiography. Additional guidelines for interventional treatment included encouragement to use stents for any residual stenosis of greater than 20% or any other suboptimal result, such as angiographically demonstrable intimal dissection, and encouragement to use glycoprotein IIb/IIIa receptor antagonists. While application of nationally recognized acute MI care guidelines9 were recommended in the trial's manual of operations, treatment of patients was determined by the local treating physician. Follow-up at 6 weeks and 6 months was performed primarily through telephone contact. All medical records related to an identified event were reviewed. The primary outcome measure was the composite incidence 6 months after index MI of the first occurrence of death, recurrent MI, and stroke. Stroke was defined as any new, permanent neurological deficit. Recurrent MI was defined as in the Assessment of the Safety and Efficacy of a New Thrombolytic (ASSENT) 2 trial.11 Within the first 18 hours after index MI, recurrent MI required recurrent symptoms of myocardial ischemia associated with recurrent ST-segment elevation in at least 2 contiguous leads lasting at least 30 minutes. After 18 hours, recurrent MI was defined as appearance of new Q waves, new left bundle-branch block, or enzyme evidence of MI. This included either an abnormal creatine kinase (CK) MB fraction that was also at least 50% greater than the immediately prior value. If only total CK measurement was available, it was required to be elevated to more than 2 times the upper limit of normal and at least 25% greater than the immediately previous value; if total CK level was not 2 times the upper limit of normal, then it had to be at least 50% greater than the upper limit of normal and at least 2 times the immediately previous value. Periprocedural recurrent MIs required, following PCI, a CK-MB fraction or total CK level 2 times the upper limit of normal and at least 50% greater than the immediately previous value and, following CABG surgery, a CK-MB fraction or total CK level at least 5 times the upper limit of normal and at least 50% greater than the immediately previous value. Alternatively or additionally, periprocedural recurrent MI was defined as appearance of new Q waves in 2 or more contiguous leads. Death was confirmed using the Social Security Death Index and/or a death certificate. Recurrent MI events were reviewed by at least 2 cardiologists not associated with the trial and blinded to treatment allocation. Stroke events were reviewed by a neurologist not associated with the trial and blinded to treatment allocation. Secondary end points measured included incidence of blood transfusion, nonprotocol catheterization and PCI, CABG surgery, and length of stay. All protocol angiograms and interventions were reviewed and interpreted by the study chairman (T.A.). Quantification of coronary artery stenoses and TIMI flow grade were estimated visually. Successful PCI was defined as a postprocedure result of no more than 50% residual stenosis and TIMI grade 3 (or normal) angiographic flow. Results are presented as either mean (SD) or median (interquartile range). Comparisons of incidence of each individual outcome and the primary composite outcome by intention-to-treat analysis were performed using the χ2 test for categorical variables and the t test for continuous variables. The intention-to-treat analysis was performed for all randomized patients as randomized. Survival analyses were evaluated using the log-rank test. Significant differences required a 2-tailed P≤.05. Analyses were carried out using SAS (SAS Institute Inc, Cary, NC) and Statistica (StatSoft Inc, Tulsa, Okla). The data and safety monitoring board for the trial approved the protocol and amendments, provided interim safety monitoring, and concurred with the decision to close the trial. The randomized trial was closed after the second interim analysis because, after multiple attempts, funding could not be secured. The first of 11 participating centers began patient recruitment on July 29, 1996, and the last began recruitment on October 14, 1998. The last of 451 patients was randomized on June 17, 1999. The highest-enrolling center enrolled 138 patients and the lowest-enrolling center enrolled 7 patients. Baseline patient characteristics are shown in Table 1. There were no significant differences between treatment groups with regard to baseline characteristics, prevalence of cardiac risk factors, common comorbid conditions, or presenting signs. Assigned treatment was considered to have been received if thrombolytic therapy was initiated in patients assigned to thrombolytic therapy and if catheterization was performed with or without PCI in patients assigned to the primary PCI group. Twenty-two (9.7%) of the 226 patients assigned to thrombolytic therapy did not receive assigned thrombolytic therapy and 13 (5.8%) of 225 patients assigned to primary PCI did not undergo catheterization (Figure 1). Seven patients assigned to primary PCI received thrombolytic therapy and 2 assigned to thrombolytic therapy received primary PCI at the community hospital. In 43 patients assigned to primary PCI, catheterization was performed but PCI was not attempted: in 31 per protocol because the infarc-related artery was patent and ischemic signs and symptoms resolved, in 7 because of high-risk anatomy requiring coronary artery surgery, and in 5 for other reasons. Percutaneous coronary intervention was successful in 163 (96%) of 169 patients in whom it was attempted. Among those in whom PCI was attempted, 106 (63%) had stents placed and 128 (76%) were given a glycoprotein IIb/IIIa receptor antagonist (all but 2 patients received abciximab). Hospital arrival times are shown in Table 2. The distribution of arrival times was the same in both groups, with more than half of the patients arriving during the day (8 AM–4 PM). In the thrombolytic therapy group, patients arrived at the hospital a median of 90 minutes (IQR, 60-200 minutes) after symptoms began; patients in the primary PCI group arrived 90.5 minutes (IQR, 59-170 minutes) after symptom onset. In the thrombolytic therapy group, the median door-to-therapy time was 46 minutes (IQR, 30-65 minutes). In the primary PCI group, the median door–to–catheterization laboratory time was 55 minutes (IQR, 40-75 minutes) and the median door-to-balloon time was 101.5 minutes (IQR, 82-121 minutes). As shown in Table 3, by intention-to-treat analysis, each major adverse outcome—death, recurrent MI, stroke, and the composite end point—were lower at discharge, 6 weeks, and 6 months in the primary PCI group. For the composite end point, the odds ratio was 0.52 (95% confidence interval, 0.30-0.89) at 6 weeks and 0.57 (95% confidence interval, 0.34-0.95) at 6 months in favor of primary PCI. The lower adverse event rates after index MI were due mainly to lower rates of recurrent MI and stroke. As shown in Figure 2, the benefit of primary PCI was seen mainly in the first 10 days after index MI. When patients from the center with the greatest number of enrolled participants were eliminated from analysis, the composite event rate among patients from the other centers still favored primary PCI. In the highest-enrolling center, the composite event rate at 6 months was 23.2% in the thrombolytic therapy group and 13.0% in the primary PCI group. Excluding patients in the highest-enrolling center, the 6-month composite event rate from the other centers was 18.5% in the thrombolytic therapy group and 11.5% in the primary PCI group. The relative reduction in the 6-month composite event rate was similar in the highest-enrolling center and in patients from the other centers (44% and 38%, respectively). When these data were analyzed by actual treatment received (comparing those in the trial who actually received primary PCI at the community hospital with those who actually received thrombolytic therapy), outcomes favor primary PCI even more, as shown in Table 4. At 6 months, there was more than a 50% relative reduction (10.5% absolute reduction) in the composite event rate in the primary PCI group. Table 5 summarizes the incidence of other common post–index MI events. Red blood cell transfusions were given in twice as many patients treated with primary PCI compared with thrombolytic therapy. No patient in the primary PCI group was sent for emergency CABG surgery for a catheterization-related or PCI-related complication, including abrupt closure, dissection, or coronary perforation due to a complication at the index hospital. Two thrombolytic therapy patients required emergency CABG surgery following elective PCI at a tertiary center, one because of dissection and threatened closure and the other because of coronary perforation. Both did well without significant sequelae. In addition, 1 patient in the primary PCI group required vascular surgery to retrieve a dislodged coronary stent from a peripheral (noncoronary) artery. The median length of stay for the index MI (including both community hospital days and tertiary hospital days, if the patient was transferred for additional care) was 4.5 days (IQR, 3-6 days) in the primary PCI group and 6 days (IQR, 4-8 days) in the thrombolytic therapy group (P = .02). Sixty-nine percent of the thrombolytic therapy group was transferred to a tertiary hospital for additional care, whereas 31% of the primary PCI treatment group was transferred (P = .002). No patient was transferred to a tertiary facility because of a complication of primary PCI. Primary PCI, rather than being simply a procedure performed by an expert interventionist, is instead a strategy of care involving a team of health care personnel in multiple care areas, including the emergency department, coronary care unit, cardiac catheterization laboratory, and, ideally, the prehospital transport system. Its development must include careful, detailed attention to standards, training, logistics, and quality and error management in each of these areas. Seamless integration of care across these areas is necessary to ensure prompt, appropriate, and efficacious application of primary PCI. We believe that the development program used in this study significantly influenced the quality of care and contributed importantly to the favorable outcomes in the primary PCI group, and may have improved medical care as well. Comparison of outcomes among the Atlantic C-PORT trial, the larger randomized trials, and a meta-analysis of them is shown in Table 6. Primary PCI was superior to thrombolytic therapy in our trial, in the 3 largest previously reported randomized trials,1-3 and in the latest meta-analysis of all randomized trials.4 Although the incidence of outcomes differs among these studies, the direction of benefit was the same, all favoring primary PCI. Outcome differences may be due to a number of factors, including differences in characteristics of the population studied, differences in definitions of outcome, and differences due to care provided. Since the Atlantic C-PORT trial was meant to be a real-world comparison of alternative therapies, examining outcomes in the context of recent acute MI registry reports is of interest. Of particular interest are the main outcome and process indicators of quality of care, mortality, and time to treatment, respectively. In a report based on the National Registry of Myocardial Infarction (NRMI) database, Magid et al13 reported that mortality at discharge of patients treated with primary PCI was 6.2% at hospitals performing a low volume of PCI (<16 cases per year), 4.5 % at intermediate-volume hospitals (17-48 cases per year), and 3.4 % at high-volume hospitals (>49 cases per year). Corresponding mortality among patients treated with thrombolytic therapy averaged approximately 6% at all institutions. Primary PCI was superior to thrombolytic therapy only at hospitals with intermediate and high procedure volumes. Although overall mortality in our trial was 5.3% in patients randomized to primary PCI, registries report outcomes only for patients actually undergoing the procedure. For the patients in our trial who actually underwent attempted primary PCI, mortality was 4.1%, similar to the outcomes reported at the high- and intermediate-volume hospitals among thrombolytic-eligible patients.13 Because our patient population was small, no clinically meaningful or statistically significant statements can be made regarding any potential volume-outcome relationship in hospitals performing primary PCI without on-site cardiac surgery and in the absence of an elective PCI program. The original sample size for this trial was planned to be 2550 (see Methods section). Because funding could not be secured for its completion, the study was terminated after 451 patients were randomized, making it significantly underpowered. Nevertheless, this trial remains the second-largest prospective, randomized trial comparing primary PCI with thrombolytic therapy for treatment of acute MI. It is the only study performed exclusively in hospitals without on-site cardiac surgery and performed when stents and glycoprotein IIb/IIIa receptor antagonists were widely available. Thus, despite this limitation, results from the trial are of significant interest. Another potential limitation is selection bias, which could be introduced by the concurrently running primary PCI registry for thrombolytic-ineligible patients. A physician or institution favoring primary PCI could deem a patient ineligible for thrombolytic therapy and perform primary PCI, preventing that patient from being randomized. This potential source of bias is an issue for any trial, including those previously reported. Its influence was minimized in our trial because thrombolytic-ineligible patients in our trial were entered into a separate study, then reviewed, monitored, and followed up in the same way as those randomized. On review, all patients deemed ineligible for thrombolytics were, in fact, ineligible by conventional criteria. Another possible source of bias in our trial is differential recruitment rates based on time of day. Nationally, the distribution of emergency department arrival times for primary PCI patients differs from that of patients treated with thrombolytic therapy, also shown in Table 2. This suggests that there is a tendency to perform primary PCI during the day (8 AM to 4 PM), while thrombolytic therapy is administered more evenly throughout the 24-hour period. Because of randomization, primary PCI and thrombolytic therapy had nearly identical emergency department arrival time distributions in our trial and both were more like the distribution for primary PCI in high-volume hospitals recorded in the NRMI registry13 (Table 2). Thus, while it is true that 62% of our patients were enrolled during the day, this is not very different from what occurs in the real-world practice of primary PCI, as reflected in the NRMI data. The current standard of practice is to complete PCI in patients with acute MI, even if the infarction-related artery is patent at catheterization. In our study, PCI was not performed when the infarction-related artery was patent and symptoms and electrocardiographic signs of myocardial ischemia were resolved at the time of catheterization, consistent with the principle of "first, do no harm." The data from our study do not directly bear on whether primary PCI should be undertaken in this particular setting. Our trial was too small to define any potential relationship between institutional volume and outcome. Thus, whether there is an institutional volume of procedures below which primary PCI outcomes deteriorate cannot be determined from these data. Currently, the literature supports 36 procedures per year as the lowest number that should be performed by an institution offering primary PCI.16 However, this number is gleaned from institutions with relatively high-volume elective PCI programs, and its applicability to community hospitals performing primary PCI exclusively is unknown. Finally, it is important to note that our results apply only to primary PCI for patients with acute MI with ST-segment elevation or left bundle-branch block on presenting ECG. They do not apply to rescue PCI after failed thrombolysis, to other unstable coronary syndromes such as unstable angina or MI associated with a nondiagnostic ECG, or to elective PCI. Our study adds to the evidence suggesting that there is no need for on-site cardiac surgery to back up primary PCI. Abrupt closure or dissection requiring emergency coronary surgery did not occur in our trial and is extremely rare in primary PCI because the infarction-related artery is usually totally occluded from the outset. Although coronary perforation remains a possible major iatrogenic adverse event, it did not occur in patients undergoing primary PCI at the community hospitals, and its occurrence, particularly when only balloons and stents are used, is rare (approximately 0.1%).17 The availability of covered stents18 may make nonsurgical treatment of many perforations possible. Our study suggests that access to primary PCI can be increased by extending primary PCI capability to hospitals without on-site cardiac surgery that complete a formal development program. How many additional primary PCI programs are needed to provide adequate access is an important question that will be determined locally. The number might be minimized by development of a system of cardiac care on the state or local level analogous to the trauma system of care. In such a system, all hospitals would participate, but there would be a logical distribution of several levels of service among institutions tied to an emergency transport system that triages patients to the appropriate level of care. Integration of destination hospitals with the emergency transport system could reduce treatment time by providing adequate information from the field to assemble the primary PCI team before the patient arrives at the hospital and reduce the possibility that the treatment a patient receives for acute MI is a matter of chance and geography. An alternative to increasing access by increasing the number of PCI programs is transfer of patients from hospitals that do not have this capability to those that do. While this alternative is in current use, it is limited in its ability to improve access. Transfer time may be quite long in both rural and urban settings, with distance and weather being a major issue in the former circumstance, and limited interhospital transport capacity an important problem in the latter. Consequently, interhospital transfer is an unreliable method of minimizing the time between symptom onset and application of therapy in acute MI. This trial demonstrates that, after an extensive development program, primary PCI can be performed safely, promptly, and effectively in the community hospital without an elective PCI or cardiac surgery program. Furthermore, compared with thrombolytic therapy, primary PCI treatment of patients with acute MI presenting to such hospitals is associated with a significant and sustained reduction in incidence of the composite adverse outcome of death, recurrent MI, and stroke. A number of issues require further research. The primary PCI development program continues to evolve, focusing now on elements required to sustain good outcomes in the absence of a monitored trial. Quality and error management are important elements of this effort, but mechanisms to provide accountability and to compare outcomes with community standards are likely to be important as well. The relationship between institutional volume and outcome remains to be established in hospitals without on-site cardiac surgery. The ongoing Atlantic C-PORT primary PCI registry conducted in community hospitals without elective PCI programs may help to establish this relationship. Finally, research into how access to primary PCI is best expanded, taking into consideration the medical, quality-of-life, and economic consequences of expansion, is important. Such research could establish a rational basis for adding needed capacity without excessive proliferation of programs that can not only dilute institutional volume but also strain limited human resources. We conclude that primary PCI is superior to accelerated thrombolytic therapy for treatment of acute MI in the community hospital setting and that superiority is sustained for at least 6 months after index MI. A formal primary PCI development program is important in ensuring good outcomes with this procedure.